Rank: #7 out of 184. Unlock the potential of Predator hardware with a custom-engineered dual-fan cooling with the all-metal AeroBlade 3D Fan1. Flat, geometric angles tapered to hard edges accent its aggressive black and red form. Acer Predator Helios 300 is a very popular option on the higher end of the price range. It's in the top 3 bestselling laptops and has dozens of popular alternatives in the same price range, such as Dell Inspiron 15 5570 or ASUS ROG GL552VW . 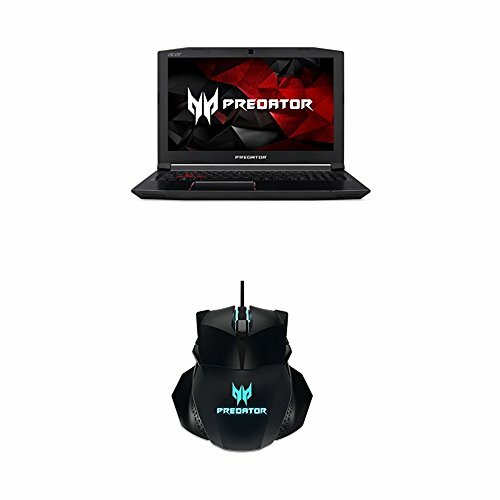 Acer Predator Helios 300 is CDN$ 549.11 more expensive than the average laptop (CDN$ 1140.88).